What if we want a more loving, sustainable and equal society? It is usually said that CHANGE has to begin within ourself, so we just need to be more loving, sustainable and equal. Real life shows us that this is not easy. First steps of change, even though bringing positive effects, are always difficult. There is no magic formula to embrace and dive into change. Everyone has a different journey, yet doing it with the support of a community is powerful and brings a lot of benefits. The idea is to turn a natural space into opportunties for people to experience a deep change in self and society. This project fosters traveling as a way of (re)connecting and participating in social projects focus on environmental awareness and cultural exchange. We see SurFarm as a welcoming place, supportive and nurturing of the beautiful natural environment. 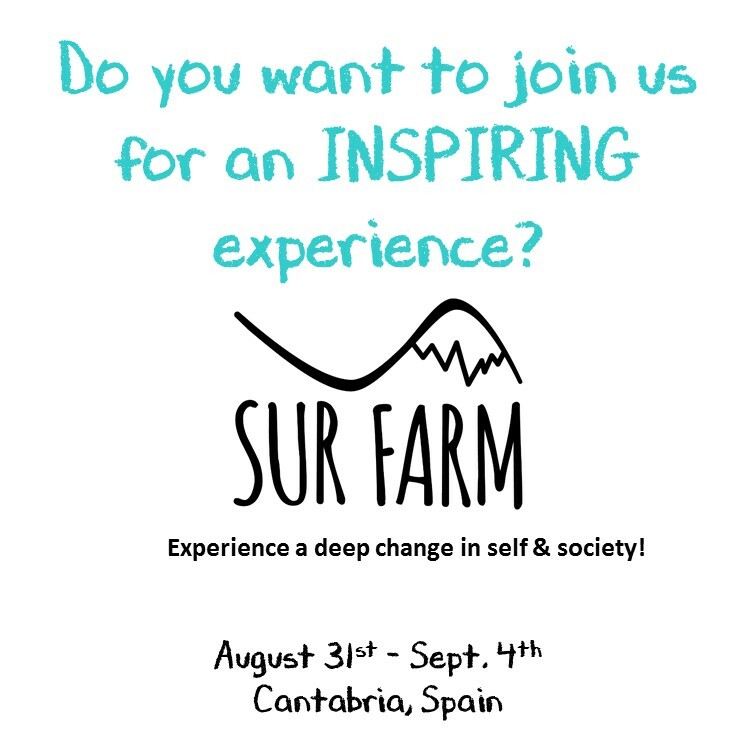 Always by the sea, we would like to think that this project may be a role model for a different kind of tourism, bringing people together to explore the meanings of connection, co-creation, respect and sustainability through experiences. Engineer by profession and curios by heart, two years ago she shifted her focus to Cooperation and Development. She is currently working as a consultant and spend the spare time in the nature. Her recent experience in Nicaragua has taught her that education is a very important right to stand for. It is a living process that helps us grow and discover our potentialities. She recently started to practice yoga as a way to accept, learn, let go and take action. Her favorite plan is probably a warm chocolate with friends and loves being in the water. He lived for 3 years in 5 different countries to study or work. With every move he put himself again out of his comfort zone and learned to embrace the change. As a renewable energy entrepreneur and an active member of the InnoEnergy CommUnity, his vision is to live a life with a low carbon footprint. A symbiosis between reconnecting to nature and new technologies facilitate this life style. He enjoys being with friends in the water, in the mountains or the forest. He built his own camper van to explore more unknown places.